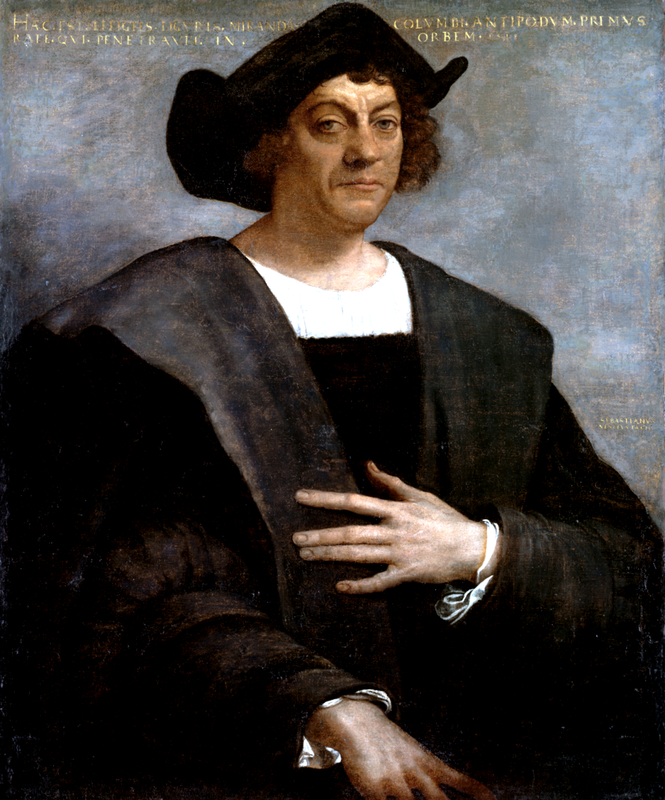 Today is Columbus Day and I expect to see a good bit of Columbus-bashing. But as I'm half-Italian and I was born and raised in a predominately Italian-American neighborhood in South Philadelphia, I share the pride of Italian-Americans who know that the explorer who "discovered" America was an Italian. Yes, despite the views of the politically correct, who once again this year will note that people lived here before Columbus, that others visited here before Columbus, and that Columbus brought slavery and genocide to the new land, I believe that Columbus did in fact discover America. As Michael Berliner wrote in Capitalism magazine, "Columbus brought America to the attention of the civilized world, i.e., to the growing, scientific civilization of Western Europe. The result, ultimately, was the Untied States of America." And for that Columbus should be honored by all Americans. A few years back, Charles C.W. Cooke wrote about Columbus in National Review. Unlike previous landings, Columbus’s mattered. It was the first to lead to a permanent settlement and the first enduring landing from a civilization that boasted modern ideas such as a belief in science, reason, individual achievement, and Christianity. Ultimately, Columbus’s story serves as the introduction to a story of immeasurable historical importance. To dismiss celebration of the man because he didn’t make it to America first would be akin to declaring that we must scorn Isaac Newton’s contribution to science because he wasn’t actually hit by an apple.